There are times in our outer and inner worlds when we experience tumultuous change and uncertainty. These moments seem to be escalating in frequency and intensity. Managing and responding calmly to challenging times —in our relationships, workplaces, the environment, globally and even in our own state of mind—is a vital skill for everyday living. 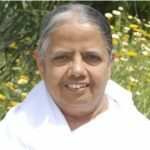 For 50 years Sr Meera has been a practitioner of Raja Yoga meditation with the Brahma Kumaris. Born in India, however since the mid seventies she has lived and served in many countries. 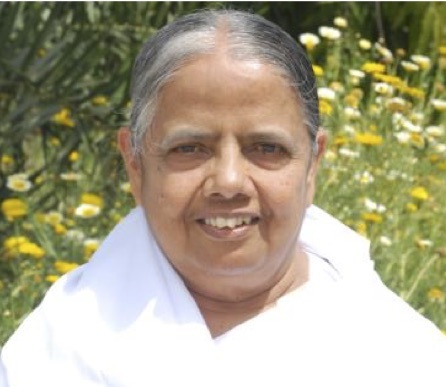 Sr. Meera is the director of the Brahma Kumaris in Malaysia. As an international speaker, she focuses on topics pertaining to the quality of life, specifically researching the subject of the mind and developing techniques to deepen the experience of inner peace and silence.